Why are my shoppers being asked to enter their phone for PayPal Express orders? The solution for this issue is a simple but often overlooked setting within the PayPal configuration screens which determines whether or not to require the shopper's phone number when the order is sent back to the 3dcart order pages during checkout. When configuring your settings in the PayPal Express interface, PayPal recommends NOT sending the phone number information. 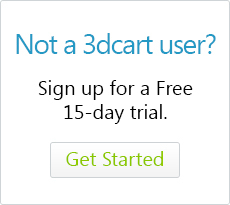 However, the 3dcart system absolutely requires phone number informationbe entered. Therefore you must toggle this setting to send the shopper's contact number in order to have the orders complte on your store. Shopper arrives to your store and adds item(s) to their cart. At either the View Cart page or the final checkout page they are given the option of paying via their own PayPal express account. When they click on this button, the shopper is directed away from your site to the PayPal Express login screen where they log into their PayPal account which already contains their billing, shipping and contact information. Once there, they can review the details of the order and click continue in order to return back to your store to complete the process. However, a common issue with PayPal Express orders is that the order process never completes due to a phone number not being entered on the order. As mentioned, the phone number is a requirement on 3dcart, so having the order return from PayPal Express without this information esentially halts the process; leading to an increase in Not completed orders as well as shopper complaints about how they were unable to checkout with PayPal Express. Click on the "Profile" menu followed by "More Options"
Next, Click on the "My Selling Tools" button located on the left-hand side. 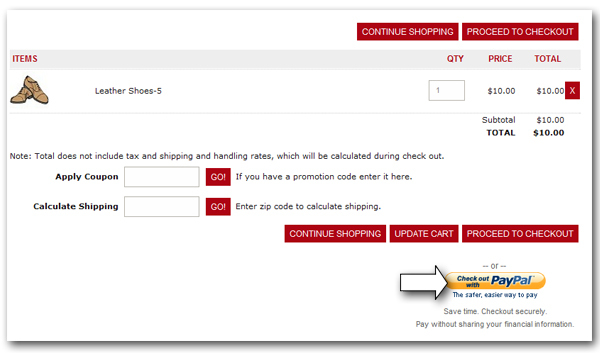 Then, click on the "Update" link listed alongside "Website Preferences"
Finally, scroll down the subsequent page to the "Contact Telephone Number" section and set the radio button to "On (Required Field)"
After your changes are saved, your cart will allow PayPal Express to fully work on your store. Wait! PayPal tells me to NOT Require the phone number! Yes, PayPal "recommends" having this requirement turned off. However it's important to understand why they make this recommendation. 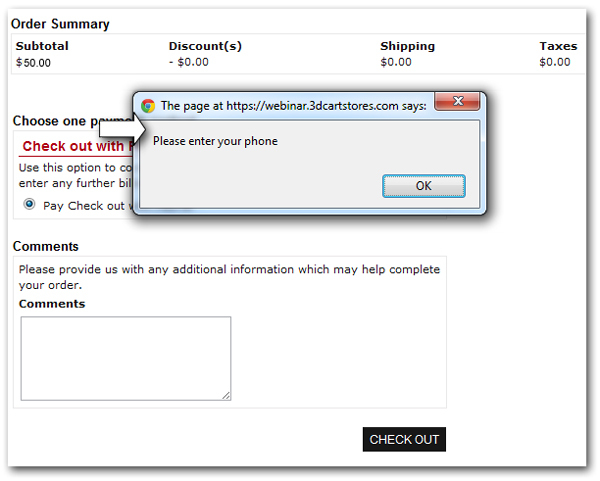 Their documentation cites that asking for the phone number could have a "negative effect" on buyer conversion. However, in reality they are referring to PayPal integration systems which actively ask the shopper to physically enter their phone number during the checkout process. The logic being that most end users are wary of adding their phone numbers to a transactional purchase during their checkout process and thus abandoning the cart when they see they are being asked to manually enter it. With 3dcart however, the telephone information is being injected automatically into the appropriate fields without any prompting for the end-user to add the information themselves, thus eliminating the need for the user to manually type it in. This in turn helps to minimize some of the "negative effect" cited by PayPal in this case.